But there's a herbivore that also causes eco-catastrophe. Rabbits both compete with native animals for food and shelter and act as easy prey for abundant populations of cats and foxes. By over-grazing vegetation and reducing habitat complexity, they make hunting easier for introduced predators. Rabbits, famously, reproduce rapidly and can cope with a relatively high predation rate. This can cause "hyper-predation", where rabbit-inflated cat and fox populations indirectly increase the predation pressure on native mammals. This is especially so when rabbit populations intermittently crash due to, for example, extreme environmental events (like severe and prolonged droughts) or disease. This causes predators to switch their diet and eat more native mammals. Our new research, recently published in the Journal of Applied Ecology, set out to examine these questions in more detail. 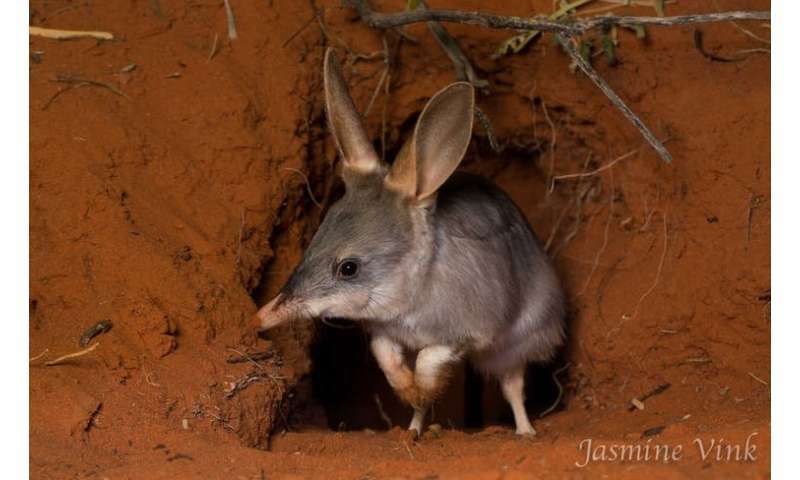 We consider other key players in Australia's arid regions, such as kangaroos and dingoes, when looking at the effects of rabbit control on small native mammals. 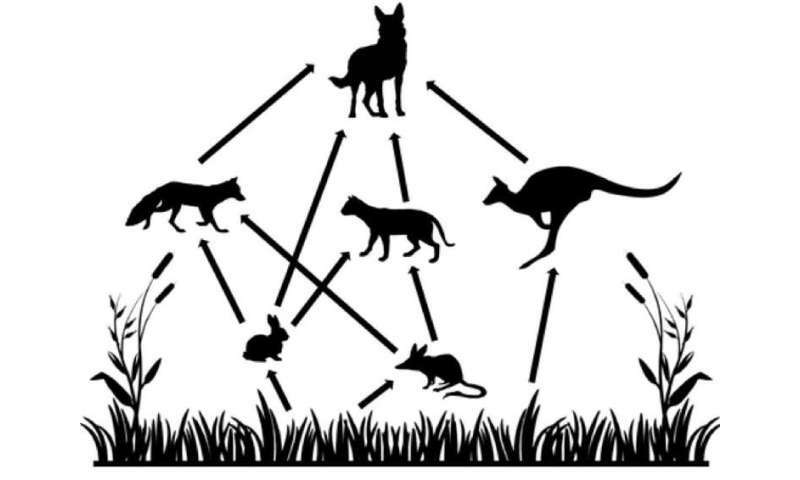 Our aim was to provide a better understanding of how changes in rabbit populations might affect other species via the food web. Rabbit control in Australia typically involves a "press and pulse" approach. 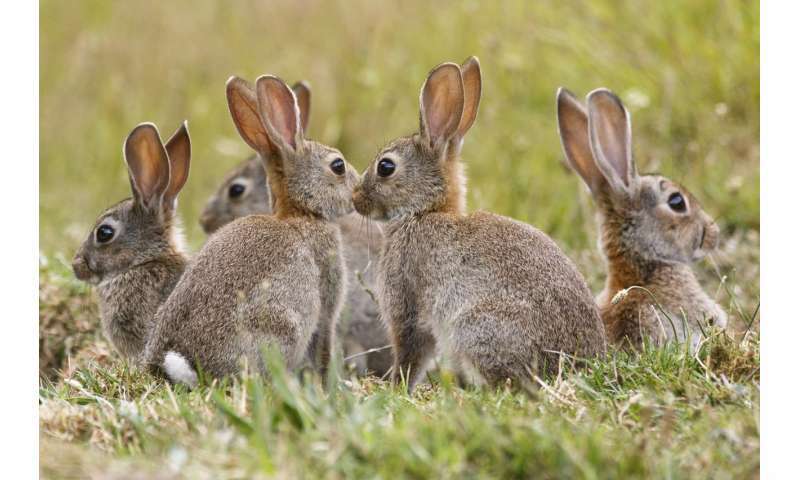 Rabbit populations are suppressed via biocontrol (press) and periods of warren destruction and poisoning (pulse). Finding that reducing rabbit populations by around 40% seems most beneficial to small mammals is important, as it informs how and when we combine these strategies. Our study supports rabbit-reduction strategies that involve sustained "press" control, that kill a moderate portion of a rabbit population, with less frequent removal at higher proportions of the population. To effectively manage invasive species, it's important to focus on entire communities. Targeting single species might not be enough – every animal exists within a complex web of interactions. There has been much focus by the current government on controlling feral cats, as a way to conserve many of Australia's unique and threatened mammal species.